As daily tasks become more difficult, many people believe that they need to move to a care home as they age, but this doesn’t have to be the case. We can help you stay in your own home if you want to with our compassionate home care services from Home Instead Senior Care Newcastle upon Tyne. Whether it’s Sandyford or Fawdon, your home is the place you know best and where you feel most comfortable. We are here to support you or a loved one, so you can continue to live in your own home, close by to family and friends. 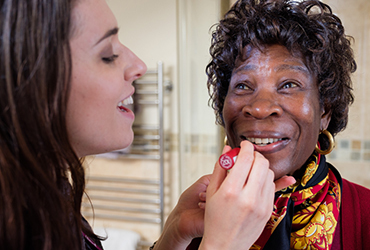 Our dedicated CAREGivers understand that providing care at home is a truly personal experience, which is why we take pride in ensuring we only provide the very best standards of care at Home Instead Newcastle upon Tyne. We offer a range of bespoke, high-quality home care services in North East so no matter what level of support you need, we can provide home care you can be confident in. Cath Fullerton founded Home Instead Senior Care Newcastle upon Tyne and work with a team of dedicated and friendly CAREGivers to provide a range of care at home solutions. 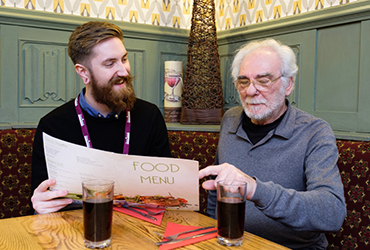 We consider what your individual requirements are; whether you need companionship care in Sandyford to dementia care in Heaton or domiciliary care in Fawdon. No matter where you are in Newcastle upon Tyne we will personally visit your home to assess your needs; whether that be palliative care or simply companionship care every other week, we will ensure your home care is tailored to you. We realise that over time your needs may change so our home care services can be tailored to support any changes. As you age, quality of life may decrease however this does not have to be the case. Home Instead Newcastle upon Tyne was born out of our founders’ own experience of needing care for a loved one. Therefore, we understand the real importance of home care to enhancing quality of life. Whatever your home care needs are, learn more below or get in touch with our friendly team. Home Instead provide professional companion care, helping older people across the UK to continue to live a fulfilling life, in their own home. 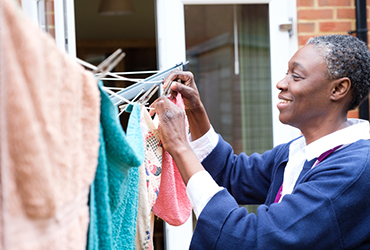 Living well often starts with looking after the home and studies show that having a clean and tidy house can have positive effects on health and wellbeing. To us, it’s personal. Whether it is helping you with personal hygiene, or keeping well and keeping active, all are important to your wellbeing, and we have every element of living a fulfilled life covered.